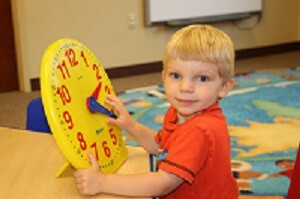 CARE For Children realizes that Early Learning never stops. Summer Day Camp will focus on STEAM (Science, Technology, Engineering, Arts and Math) Activities and promote Early Literacy. Fun activities, special guests and outdoor play on our brand new playground which we will use as an outdoor classroom. Your child does not need to be enrolled for the school year to attend! Pick your own fruit or vegetables… Find a farm with blueberries, strawberries, tomatoes, flowers, etc., and get picking. Run through sprinklers. Or spray each other with the hose. Go to the Library. The library is not just books! Story-time; learning activities; and technology. Cook out. Go beyond the burgers. Try veggies or fish. The kids might like them! Catch lightning bugs. And then watch them flicker away into the night. Talk to the animals. Take a trip to the zoo or local petting zoo. Take advantage of local state parks. Pack a picnic. And plop down to eat it just about anywhere, at a free concert, in a state park or in your own backyard. Dig in the sand. Dig at the lake, beach or a sandbox. Create different types of sand castles. Go to a nearby museum that you’ve never been to before. Remember we have the Zippo museum and the oil museum nearby. Decorate your sidewalks or driveway with chalk. Go to the drive-in. Every kid should go to the drive-in at least once! Meet friends at the playground. Blow bubbles. You can make your own bubble mixture: 1 cup water -2 tablespoons light karo syrup or 2 tablespoons glycerin -4 tablespoons dishwashing liquid. Run in the yard. Kickball, T-ball, Frisbee and tag will keep you moving. Put up a bird feeder. And watch the show from your window.